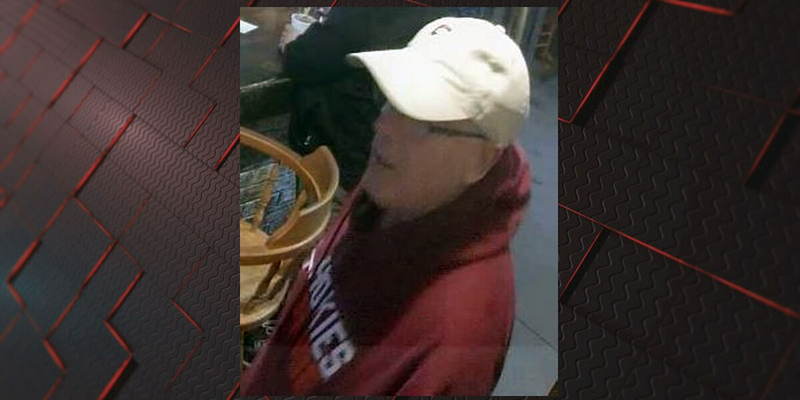 HILTON HEAD ISLAND, SC (WTOC) - The Beaufort County Sheriff’s Office is asking the public for assistance in identifying the individual or vehicle involved in a hit-and-run incident at Hudson's Seafood on Hilton Head Island on Jan. 4. Sheriff’s Office officials say it happened around 4:15 p.m. They say the suspect is seen backing into a parked vehicle, looking at the damage, then leaving the scene without providing proper documentation. The male is seen wearing a red hoodie, white hat, shorts and flip flops. If you can help identify the individual or vehicle (pictured below), please contact D/S Harris at 843-255-3308 or Beaufort County Dispatch at 843-524-2777.